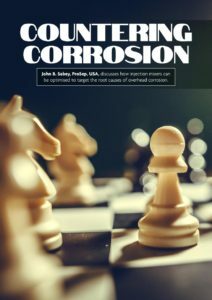 ProSep is proud to feature in the latest edition of Hydrocarbon Engineering, John Sabey, CTO discusses how injection mixers can be optimized to target the root causes of overhead corrosion. 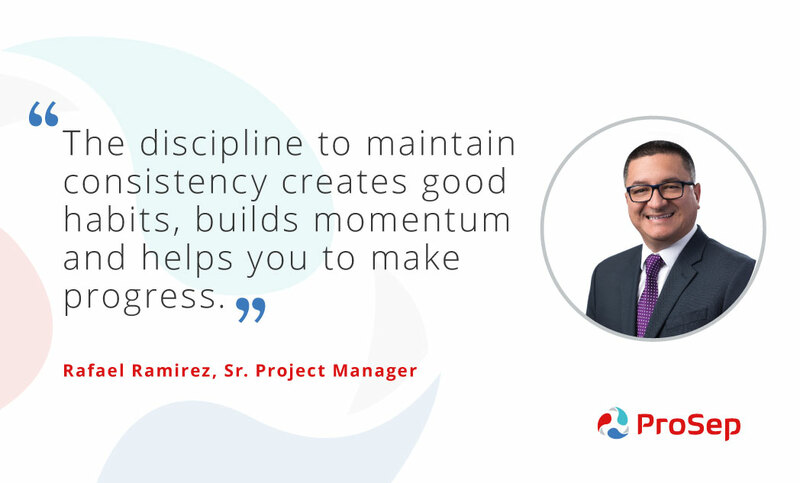 Next to be profiled in our ‘Meet the Expert’ feature is Sr. Project Engineer, Rafael Ramirez. How long have you been with ProSep? I have been working for ProSep five years. 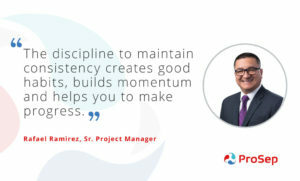 As the project manager, I keep projects on the right track by interacting both with the internal team and clients; bringing rationale to expenses, urgency to timelines and fulfilment of customers’ expectations. I have worked on many projects throughout my career, and recently, one of the most interesting projects I have had the pleasure of working on was a produced water treatment plant in a joint venture with a company from The Netherlands. It was our first commercial unit for tertiary water separation using our proprietary Osorb Media System (OMS) to help a natural gas producer in the Mediterranean Sea to treat 5,000 BWPD from 100 ppm to 15 ppm of dispersed oil concentration, as well as 150 to 500 ppm of BTEX soluble components to 5 ppm concentration levels respectively. I also enjoyed working with stakeholders that were very engaged to the success of this 202 Ton skidded package. It was such a joy to be able to see a project this size from start to finish. I really learned a lot about virtual teamwork, communication, perseverance, and the importance of consistency. ProSep has successfully completed the ECLIPSE mixer for Martin Linge Platform. 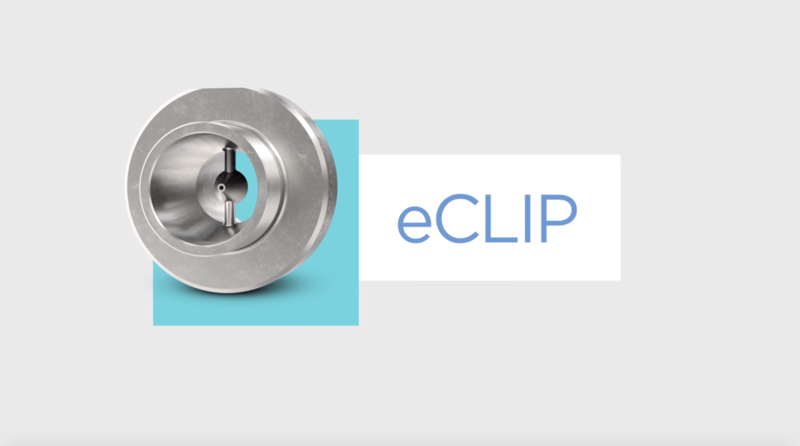 The 16″ 600# ECLIPSE mixer is ready for delivery – five day before the agreed delivery date. The inspectors from Equinor and TechipFMC tested the mixer last week in Haugesund, Norway and were very pleased with the quality, workmanship and the level of support received by both the Haukas and ProSep Team! The driving force behind ProSep’s success and its innovative solutions is undoubtedly its people. 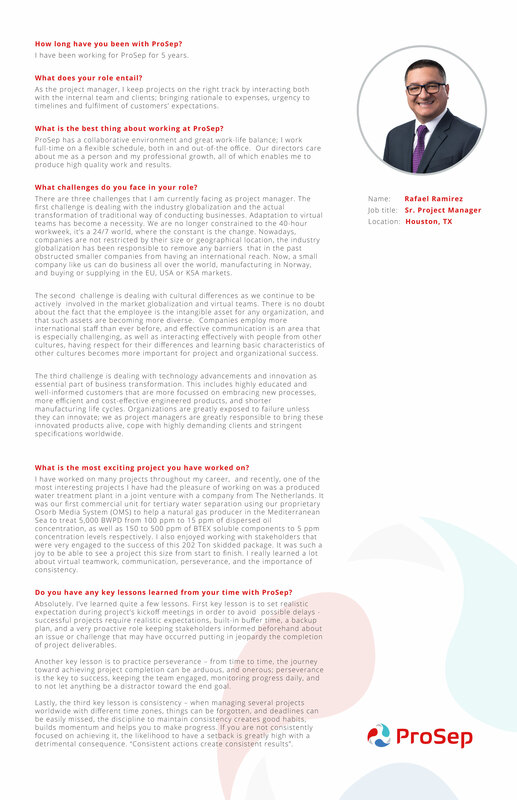 In our new ‘Meet the Expert’ feature, find out more about our team and their roles at ProSep. My main responsibility as Process Engineer is leading the process design of ProSep’s proprietary oil and gas treatment systems. Other responsibilities include reviewing clients’ requests for quotation (RFQ) documents, developing optimized process and technical solutions, delivering technical and commercial proposals and working together with other groups internally and externally to ensure projects run smoothly from beginning to end. I am also heavily involved in product research and development to look at ways to improve efficiency and performance. It is a project we completed in 2018. We were contacted to supply our inline mixing unit for LPG injection to increase BTU value of the vaporized liquid natural gas. This was one of the most comprehensive projects I have ever participated in which included the initial process design; computational fluid dynamics (CFD) analysis to provide guidance for design optimization; pilot scale field testing proving the optimized design along with the CFD results and the final technical solution covering a broad range of process conditions. We finally secured the PO for this project after a side-by-side competition with an industry giant who is well known in this area. It was a career highlight to open a new market for our highly efficient inline mixing technology and I am so proud to have been part of that. Read Terry’s full profile here! 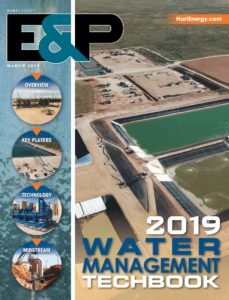 Listen to the latest World Oil podcast hosted by Jim Watkins where Caleb Smathers and Greg Hallahan discuss the successful development process of ProSep’s Osorb Media System (OMS) for cleaner water. The episode discusses the technology while highlighting the challenges encountered, such as functional and inertial challenges, and how these were overcome. 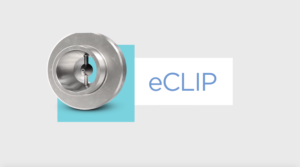 ProSep’s New Case Study: Eagle Ford eCLIP Mixer! An Eagle Ford Shale producer requested the installation of a second eCLIP inline atomizer after the successful performance of its first unit. 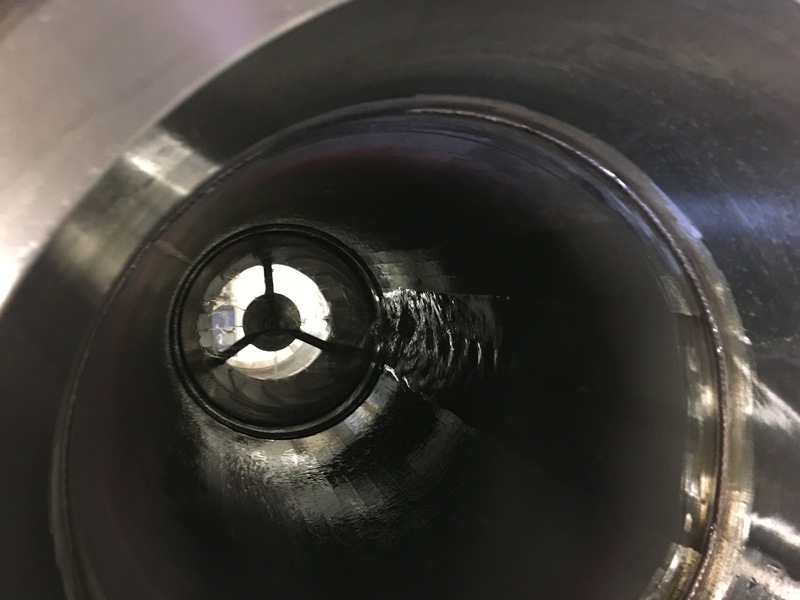 The second eCLIP unit was installed and delivered a range of benefits to the operator including reaching H2S specification in less than 12ft, enhanced triazine usage and reduced chemical injection pressure resulting in less chemical pump maintenance. 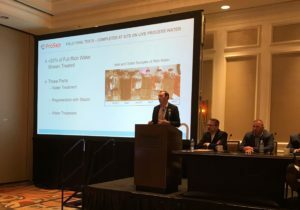 ProSep Presents at Produced Water Society Seminar 2019! February kicked-off with another fantastic Produced Water Seminar. 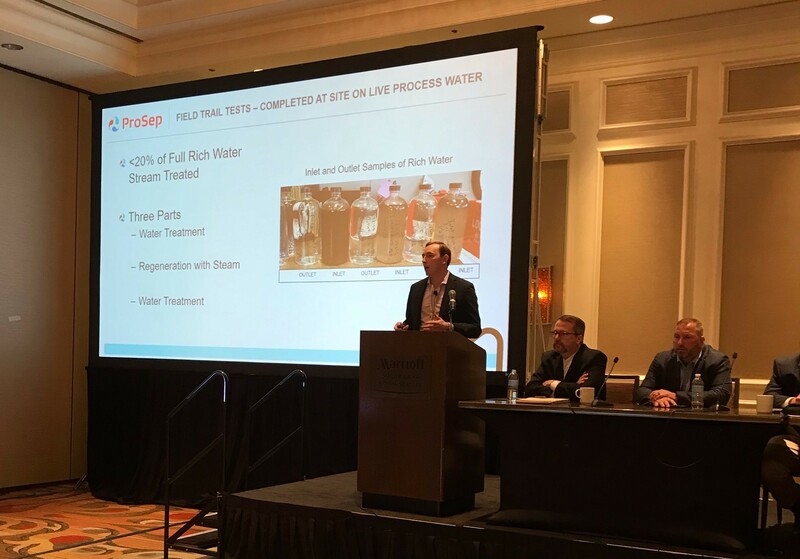 This year both Caleb Smathers and Greg Hallahan played an active part in the event chairing panel discussions on produced water management and water re-use. Caleb also delivered a presentation on how ProSep’s innovative Osorb Media System (OSM) can be used to efficiently remove BTEX from process water with a reusable adsorbent to increase the value of reclaimed methanol. Click here for a synopsis of Caleb’s presentation.